This 2018 Easton Beast X Hyperlite USA Youth Baseball Bat (YSB18BXHL) features a skinny 2 1/4-inch barrel, a drop 12 length to weight ratio, and a thin 29/32-inch handle diameter. With a balanced swing weight, this model is recommended for players looking to increase their speed through the zone. Swing for the fence with the Beast X and pick up one of these Easton USA baseball bats today with free shipping. Don't forget, with our 24/7 customer service, we're here for you from click to hit! Pros: It looks very nice, the paint scheme pops. Cons: We have the Beast X -12, in a 29 but it is 18 and 1/2 ounces. Not 17 oz. So it is really a drop 10.5. The handle is very long with a short barrel line a fungo. We also have the composite ghost X with the 25/8 barrel and it is also heavier than the drop weight would suggest. The new USA bats are just heavy, at least Easton's 2 high end bats are. They should leave the old bats for players up to 10.Very sad for the little guys in Farm. Cons: Our 28/16 oz bat weighs 18.4 ounces. Pros: The bat is very light. My son also has the Easton big barrel ghost. He likes to use this bat against fast throwing pitchers cause of the weight. He has the 30" 18 oz. And uses the ghost against slower pitchers. He loves it but its also to soon to fully judge 100%. Cons: Well any small barrel the con will be u could of gotten big barrel instead. No worries super dad covered that and got him big barrel ghost. If your one of those kids that need to hear a big loud sound when u hit the ball , well I got news for you, all the new bats wont have that, accept and get over it. Pros: My son hits the ball harder and further with his 29/17 -12 Beast X then his Mako Beast 28/16 -12. I was really surprised by this since we already purchased and returned the Ghost X XL and 2 piece Ghost X and those have no pop. If you ever hit the Eaton S500 or Eaton Reflex, this might be the same bat with a different paint scheme. 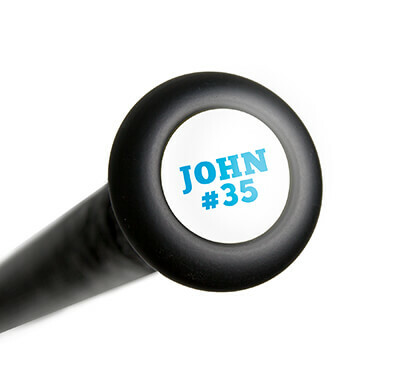 I can see this being the sleeper bat of the USA bats since all the kids are going to be drawn to the big barrels. This has been the only USA bat where my sons hands don't dip and the bat stays on plane and can really whip through the hitting zone. The big barrels made his swing slow and sloppy due to the extra weight in the barrel. Cons: Its a 2-1/4" barrel and no one will buy it. Scares the little Pinto kids from the crazy loud PING it makes. Pros: My son liked the feel of this bat and he hit well with it. Cons: The Beast X -12 is not well made in my opinion. Our season has not even begun and we already had to send it back to Easton. The end cap began to separate from the barrel. Easton did send us a replacement, however, THE REPLACEMENT BAT WAS WORSE. The replacement was used for maybe 50 hits and the end cap flew completely off of the bat. I am questioning if this particular model is defective. It seems odd to me that the same issue occurred with two bats, all within a two week period. His was a 30 inch bat. I would not recommend this bat. Pros: Nice and Light bat...... gets through the zone fast....Small barrel is good for advanced hitters..... however some of the less advanced hitters can get some pop on the ball when they connect. Overall my son and other players like the bat for its light weight. 29"17oz. Cons: Got this bat in my search for a USA bat that is not 2+ ounces over stated weight. Bat is close to stated weight but has strange shape - looks like a fungo bat with a very short barrel. Sent it back. Pros: So we now know that it was Easton pushing for the new standard to increase their bottom line. It had nothing to do with safety as most injuries in youth baseball occur from THROWN balls. The rumor is that this standard will be dropped next season. Fingers crossed! Back to the bat. i bought the Ghost X in February. after breaking it in - no pop. I talked to a rep from Easton and he told me that the Beast X had the most pop. So for $100 less I bought my 11 yo this bat. 30" 18oz. The difference was obvious and immediate. It outhits the Ghost X by 20-30 feet. My son is on the small side but has been the clean up hitter on all his teams for two years because he generates tremendous bat speed. He has not hit a home run this year yet, but has hit the fence at least once a game. I expect that it will happen once the weather gets warmer. I like the alloy so much that I just purchased the big barrell Beast X arriving tomorrow. I will review it soon. Cons: This bat got a small dent near the endcap after only 10 games. Easton's return policy which is ridiculous would leave him without a bat for at least week maybe two. Also, mishits off the end of the bat generate tremedous stingers. As such, I dont recommend this bat for the casual player. One mishit and they will be afraid to swing it. Pros: My smaller frame son (not quite 8) is hitting like he's much older and stronger. The light weight definitely helps. He hasn't complained of any vibration and he usually bats without gloves. Great deal too. Bought it used and saved. I bought the lightest bat I could find for him and I'm glad I did. I was concerned about not getting a 2 5/8 bat but the goal is to hit the ball and he's doing so. He's a bit talented but I think this bat, especially if bought used, will be a good deal and a value for any parent. Pros: It is partly yellow. Cons: Cap broke off in normal use in batting cage within a few months of purchase. Have a question about the 2018 Easton Beast X Hyperlite -12 USA Youth Baseball Bat: YSB18BXHL? Ask our team of experts and they will respond within 24 hours. Today starts the new bat program. My question is I notice the Beast is made of alloy and the Ghost is made of carbon. What bat has more pop to it? Are there any other bat types? Also, my son is a line drive gap to gap hitter, not a homerun hitter. He is 11. I know he will also be outgrowing bats in the future, so I wanted to ask what bat do you recommend? The Ghost bat is a little too expensive right now since he might outgrow it in a year or two. Your thoughts would be appreciated. The new bat rules go into affect starting January 2018. The 2018 Easton Beast X Hyperlite -12 USA Youth Baseball Bat: YSB18BXHL will be legal for those leagues requiring the use of a USA bat stamped approved model. Looking at this bat compared to the Ghost X, the Ghost X will be more balanced (feature lighter swing weight feel) and be better equipped to reduce vibration from off-centered hits. Hard to say which bat may offer more pop as both bats will have thick barrel wall designs; time will tell if any of the new USA bat stamped models will significantly out perform the others. As for other types of bats, there are only three types: one-piece (typically all alloy), two-piece hybrid (alloy barrel and composite handle) and two-piece composite. Is this going to become available in a 28"? The 2018 Easton Beast X Hyperlite -12 USA Youth Baseball Bat: YSB18BXHL should be available in 28" later this fall. What is the difference in the USA stamped bats and the USSSA stamped bats? How would I know which to buy? The 2018 Easton Beast X Hyperlite -12 USA Youth Baseball Bat: YSB18BXHL will have the USA stamp resulting in a wood-like performance in youth bats while allowing younger players to use light-weight bats that could not be achieved with wood bats. AABC, Babe Ruth / Cal Ripken, Dixie, Little League, and PONY will all be affected by the USABat rule change, but USSSA will not. 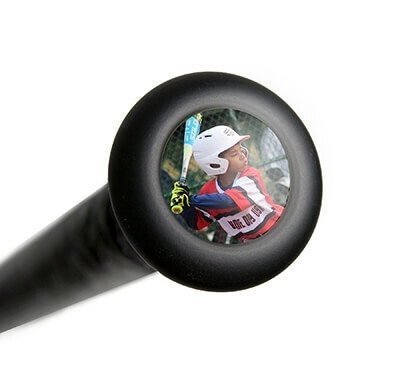 Currently, USSSA Baseball will allow the use of a bat that carries the new USABat stamp. Will they make a 27 inch 15 oz in this bat? The 2018 Easton Beast X Hyperlite -12 USA Youth Baseball Bat: YSB18BXHL will not be featured in anything smaller than a 28 inch 16 ounce model. I saw on Easton's website that they offer the bat in 27/15. Will you be ordering/carrying this option? Unfortunately, at this time we do not have plans on carrying a 27" 15 oz version of the 2018 Easton Beast X Hyperlite -12 USA Youth Baseball Bat: YSB18BXHL. Can I use this bat in Juniors? The Juniors division in Little League requires USA certification. The 2018 Easton Beast X Hyperlite -12 USA Youth Baseball Bat: YSB18BXHL has that certification and is cleared for play. How does this bat compare to the Mako beast 2017 model? The 2018 Easton Beast X Hyperlite -12 USA Youth Baseball Bat (YSB18BXHL) is a one-piece alloy bat with a USA ceritfication, while the 2017 Easton MAKO Beast Hyperlite -12 Senior League Baseball Bat (SL17MK12B) is going to be a two-piece composite bat that will not be allowed to be used in USA certified leagues. How would this compare to Easton's S1 bats of previous years: (Wondering about a comparison in regard to swing feel)? This 2018 Easton Beast X Hyperlite -12 USA Youth Baseball Bat (YSB18BXHL) will be extremely balanced in its swing feel. The S1's of the past were very balanced as well. if you were interested in emulating that balanced feel in a bat, I think this Beast X Hyperlite will suffice. It seems the reviews by customers are consistently stating the bat is not as advertised concerning weight. Can you shed some light upon the discrepancies? Does 17oz weigh 17oz or 18.5oz as stated in reviews? I need a 29/17 that is actually 29/17. Almost no bat on the market will weight the exact listed weight. This is because manufacturers weigh the products before finished construction. Things like the end cap adhesive glue, paint, and grip tape adhesive are not factored into the final weight, putting them over the listed amount. Most USA bats seem to be worse than previous years for some reason, and will weigh anywhere from 1-1.5 oz heavier than the listed amount. It's always nice to be taken care of the same way we like to be treated, so it's never a problem to let the people who make my day brighter know. Once again keep up the fabulous work.